After it was revealed that Steve Smith engaged in ball tampering, the entire nation lost the plot. But why? Yesterday, a great defect of the national psyche revealed itself in the wake of the ball-tampering plot of one Steven Smith. It’s strange, as cricket has long been one of the national establishments we treat with gilded amnesia. It is, at its root, the Australia that that Australia wants to be. Calm, respectful of tradition, all in pursuit of a goal in the right way. Cricket, is everything we’re not, but wish to be in our everyday lives. Our disgust in these matters of crisis, are extremely unbalanced. As where one cheats is often the issue. Shane Warne rutting half of the UK under the nose of his wife, totally fine. He comported himself correctly on the field. Those who bend or break these rules are forever tarnished. Today, Steve Smith is Doctor Frankenstein, Cameron Bancroft his bumbling Igor, as we shake our heads and light our torches to immolate the horror that he’s created. Why? Because he broke our golden assumption. We, as Australians, do not cheat. Columnists and punters alike were unified in disgust, Peter Fitzsimons called for the stockade, and the rest of us retrieved the more rotting vegetables from the bottom of our bin. However, all of this matters, but it really shouldn’t. There’s many a larger fish in this country that needs grilling, other than Steven’s sticky tape. It does, however, highlight something interesting about us. Despite our denials, the only thing we truly still trust are our athletes. It’s a mental defect we all possess, and it’s why we bled so much yesterday. Our elected officials, our church, our employers are all viewed with suspicion. An adult mentality of seeing them as a collection of flaws. They’re human, they’re just worst versions of us. Whereas, our sporting icons are Hercules. While there’s nothing intrinsically of value about the ability to hit a piece of leather with a piece of wood, the irrefutable fact that we can’t, and they can, forgives much. They’re superhuman. An ubermensch with 3% body fat. They’re held by a different set of judgements. They’re not allowed to step outside the normal realms of failure, because they’re not people like us, they’re objective labels. Test Cricket Captain, does not afford any subjective realities. However, unlike everyone else in the national eye, they’re one successful narrative away from redemption. Smith will have to prove his worth to us, through the application of his athletic ability. Sorry will not do, and the judgement of Smith will either hang by a swinging noose or his bat. 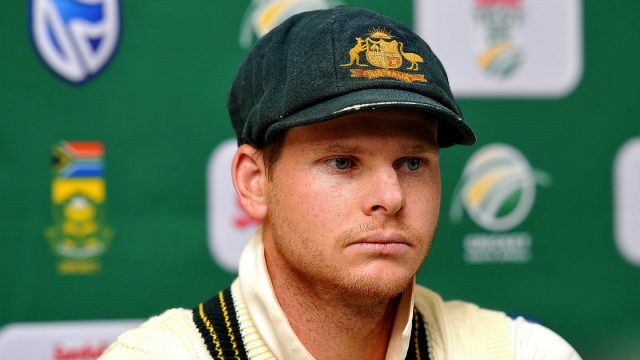 One of the many threads of criticism is that Steve Smith disappointed all those young Australians who idolised him. He’s a community leader, the man who holds the second most important job in the country. However, elevating one of us so, makes the fall greater, and leaves us wondering how they could betray us so. Rather ironic. In the final analysis, the acts of Steven the Wayward damaged the honour of the position and the idea that it is a bastion of virtue in an otherwise immoral world. This is a denial. If we want to educate our children properly, perhaps we should explain that icons are as flawed as we are, and mistakes are possible. Perhaps if we considerably salt our rhetoric, to set an example, so they can understand that a tampered cricket ball is not the end of the world, or the marble mask slipping off and crashing to the floor, as we desperately clamour to angrily articulate the damage. Perhaps they can then do what we cannot, and view the acts of Smith in the correct way, the way that we view every other notable member of our country. Despite position, or ability, they’re the same as us.